During the deadly eruption of the Fuego volcano, rock and ash rained down on the region, wreaking havoc and leaving behind a trail of panic and devastation. Over 100 people were killed and hundreds of families were evacuated. Complete villages were destroyed and for the survivors, many may not be able to return for a long time. Have you ever wondered, what is it like for families to live under the shadow of a volcano? Or what are some of the warning signs of a volcano about to erupt? Fuego’s summit is 27 miles south-west of Guatemala City and the volcano is just 10 miles west of Antigua, Guatemala’s former capital. 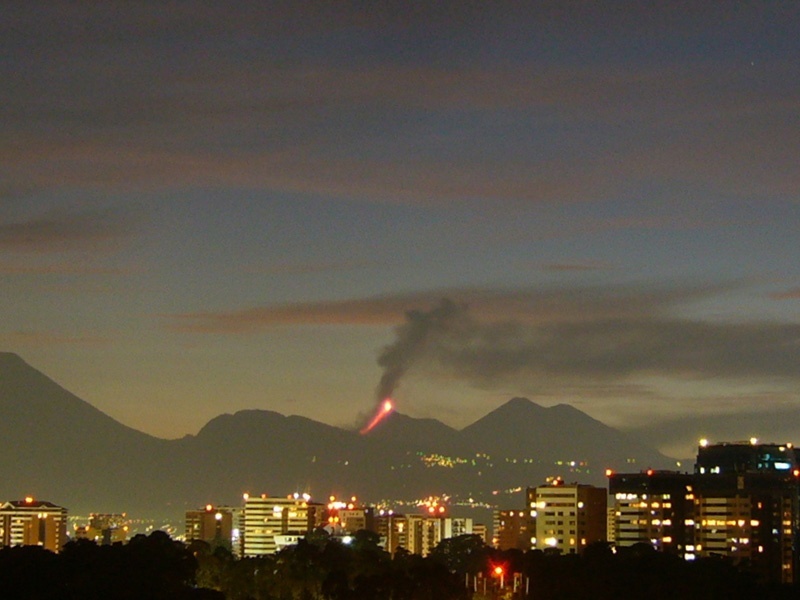 In total, Guatemala has 37 active volcanoes. Fuego itself has already erupted once in 2018, with volcanic ash from the eruption spreading over a 12-mile radius. It’s a type known by experts as a stratovolcano. Its steep-sides (or flanks) are what give it the shape that many of us have in mind when thinking about volcanoes. Stratovolcanos are known for their periodic and explosive eruptions. The most well-known stratovolcano is probably Vesuvius, which erupted in 79 AD, burying the city of Pompeii under tons of volcanic ash. In some instances, there are ‘warning signs’ that a volcano is about to erupt. Changes to the amount of volcanic gasses being emitted or changes to the actual shape of the volcano can indicate movement in the magma. But, unfortunately, there are no volcanic eruption forecasting systems which are 100% fail-proof. ‘There is the potential for lahars to develop, which are formed by volcanic ash mixing with water, which can engulf villages and cut off communities. More than half a billion people around the world live in the direct vicinity of volcanoes. Despite the known dangers, people still choose to live in such a high-risk location. But the question is, why? Thanks to a phenomenon known as ‘upside risk’, the opportunities of living in such a place may offset the known risks. For farmers, one of the benefits of living near volcanoes is the fertile agricultural ground, enhanced by the volcanic ash. This also applies to areas that were covered by volcanic mudflows. But there are also interesting social reasons for choosing to live in such a high-risk area, with volcanoes shaping the cultural identity of the communities surrounding them. 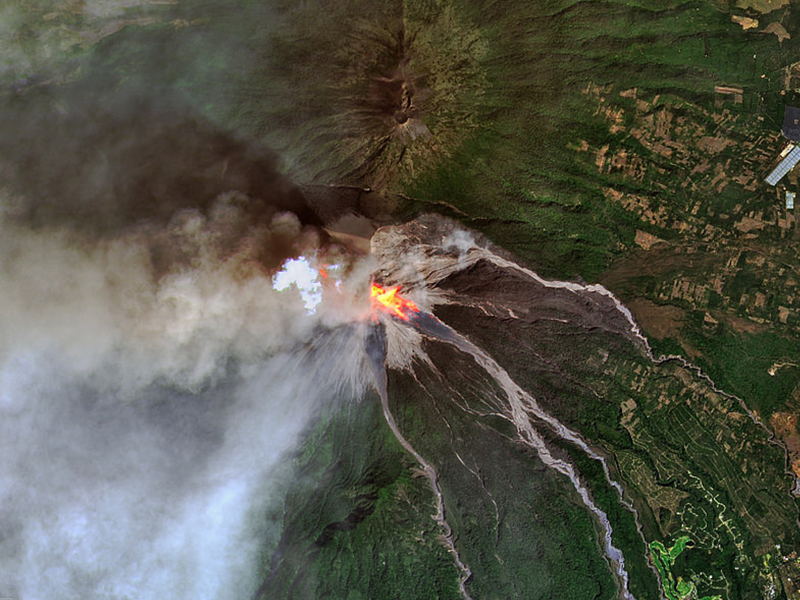 How do we monitor volcanic activity? Scientists around the world use a mixture of techniques to hear and see volcanic activity. This includes monitoring gas emissions, remote sensings such as satellite and thermal imaging, deformation (the changing shape of a volcano) and ground vibrations. By observing each of these things scientists can build up data and look out for out-of-the-ordinary signals. Advances in technology have allowed us to better detect warning signals. Homes might be different around the world – taking anything from a few days to many years to complete – but they all have similarities. They are made from hard work, hard-earned savings and dedication. When natural disasters and conflicts rob people of their homes, we can’t wave a magic wand to replace what was lost, but we can help. 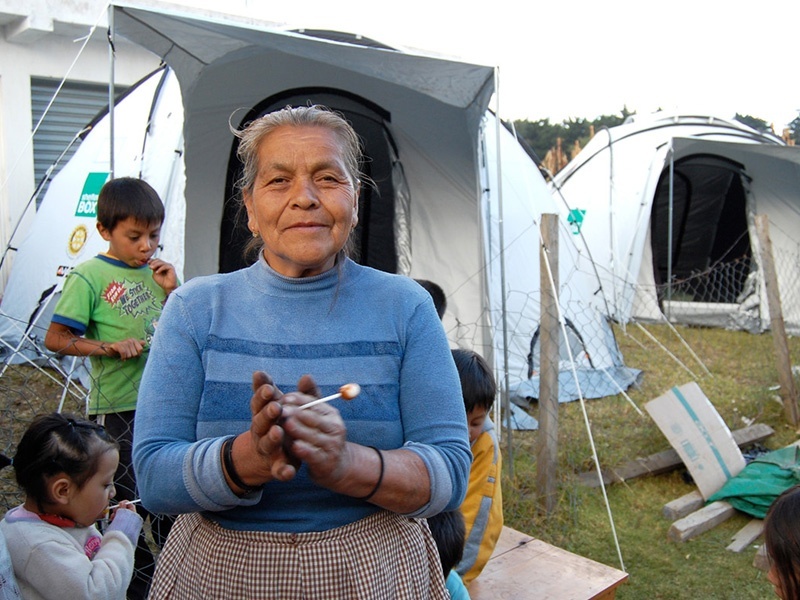 ShelterBox provides people with the tools to start the process of their own recovery. When people are plunged into crisis, normality is suspended. But good, quality shelter can cut through the chaos. It doesn’t just give people space to heal from physical and emotional trauma, but it gives them roots. Roots that go far deeper than a simple tent peg.